- Equipment designed to control and record the temperature of the internal environment of the kiln dry and the temperature of the wood during the treatment process. The reports can be sent through the data taken via USB drive or via serial / USB communication. Complies with ISPM 15 normative instruction. - Drying Program according to the time, or wood moisture content. Programmed in dry bulb and wet bulb. 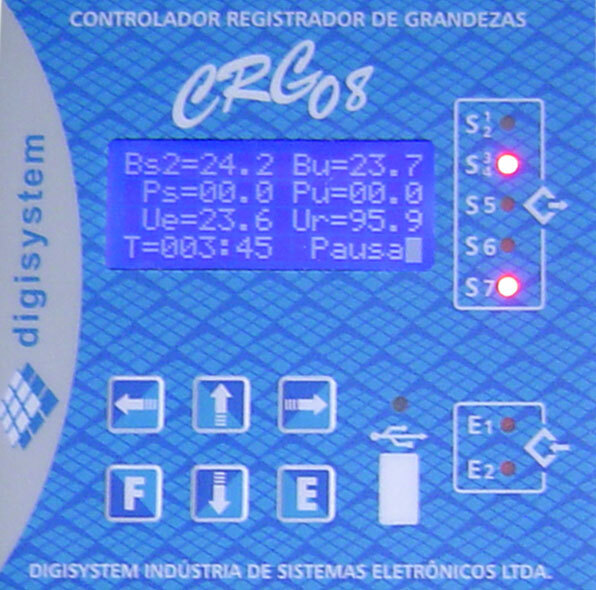 Drying curve can be programmed with up to tenphases and four read points of moisture and all the features of HT 08 CRG. - Drying program according to the time, or wood moisture content. Programmed in dry bulb and wet bulb. Drying curve can be programmed with up to fourteen points and eight stages of moisture.